The Indian market gets highly inspired by international trends and Juice salon, as a brand that works with the pace of the ongoing trends, is providing the best of everything to its customers. Trends come and go but the best ones always make their mark in the industry. The beauty industry is ever growing and there is no doubt, it is full of trends. International trends definitely get all the attention and they are the ones that inspire many other trends to come in form. Juice salon is a brand that has been doing its best in bringing international trends to the Indian market. Trends really do establish a great impact on the way the industry functions. Juice salon aims at keeping its services up to date according to the ongoing trends in the market. Every customer desires to be pampered and treated with quality products. Brands that use the best quality products are the ones that get the trust of its customers and a good business. Juice salon uses the best products available and its services provide a wonderful experience for the customers to take with them. The brand boasts of being the first to introduce the concept of Nair Bars in the country. This is because they support the idea of keeping the Indian market in sync with the international trends that are taking over the world. Juice salon is a brand that is not only keen on providing services but also provides the customers with the best from international markets. “Juice was pioneer bringing the international Salon culture to India almost 2 decades ago. 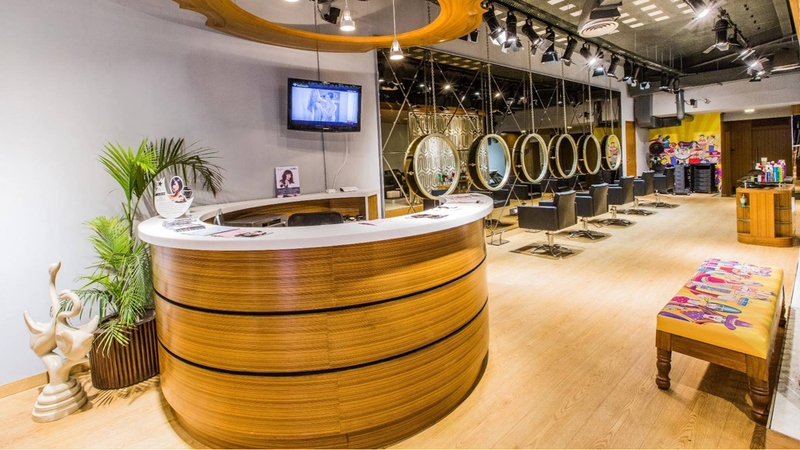 Juice introduced world-class products and services in its trendy and in vogue salon setup. Juice was the first brand in the country to introduce the Nail Bar Concept. Today we have our own Nail Brand by the “LYN” which we use in our salons as well supply it to many other salon chains in the country”, says Nitin Kalwani, Managing Director, Juice Salon. What attracted the brand towards franchising? Deeper market penetration attracted the brand towards franchising. Juice salon promises the best products and services and also looks up to the latest international trends. The brand chooses to invest in products and services after digging into what the market desires. By getting into franchising, they have expanded themselves in all directions and know the changing wants and needs of each market. The brand started franchising in early 2000 and deeper market penetration is what attracted the brand towards franchising. With 25 franchisee salons and 5 company salons, Juice salon is going strong with its franchising game. The brand is looking forward to opening 15 salons in the next 12 months.